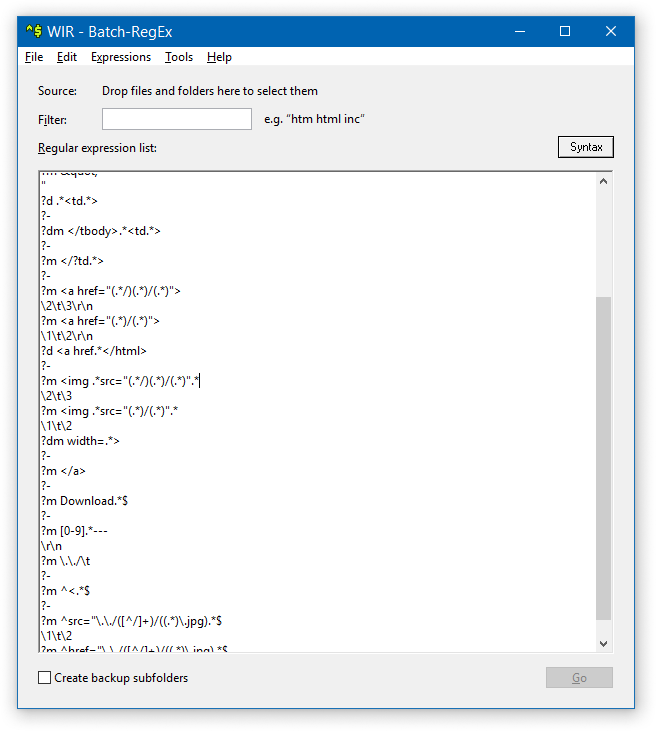 Batch-RegEx is a utility to apply a batch of regular expression replacements to multiple files. 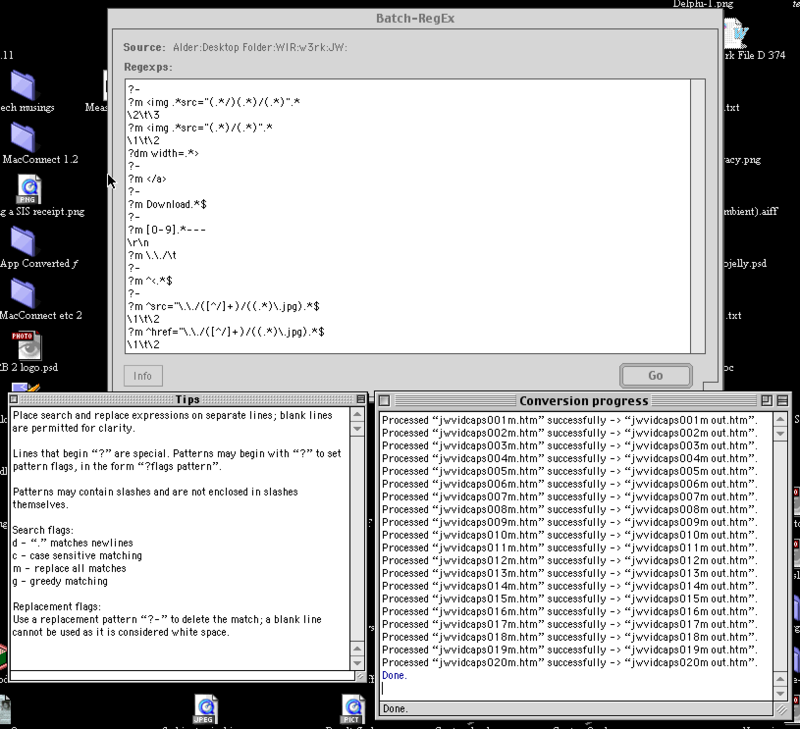 It is built on some version of PCRE (Perl-Compatible Regular Expression library). 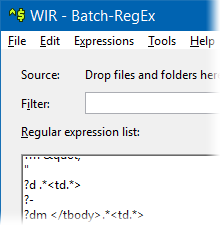 Batch-RegEx version 1.0 was created as part of the process of updating a friend’s website from FrontPage HTML to PHP/MySQL. An expression set of 22 replacements was used to decompose HTML pages so that they could be fed to MySQL. The program was clearly useful enough to make into a generic utility, and was designed as such from the outset. Batch-RegEx is subject to all the same caveats as SMTP Werkzeug. Batch-RegEx and my associated code library is licensed under the terms of the zlib license.